She says she's a "black Bill Gates in the making" who "ain't never seen a ceiling in my whole damn life". 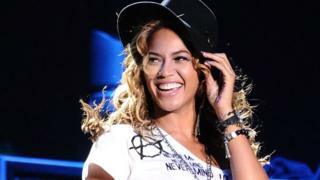 So it's hardly surprising that Beyoncé has been named music's most powerful woman by BBC Radio 4's Woman's Hour. The superstar came first in a list of the industry's 40 most influential women, thanks to her feminism, activism and empowering musical messages. Taylor Swift, Adele and Dua Lipa were also included on the power list, which was unveiled as part of BBC Music Day. The top 40 didn't just recognise big-sellers and global stars, making room for the unsung heroes who work behind the scenes to champion women. Third place went to Vanessa Reed who, as CEO of the PRS Foundation, has persuaded more than 100 festivals to sign up to a 50:50 gender balance on their line-ups by 2022. 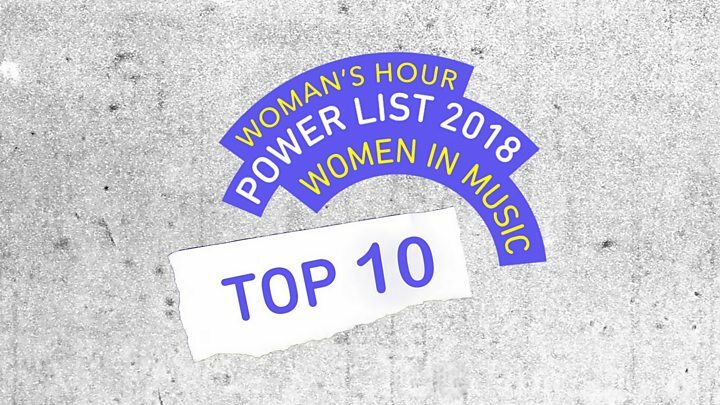 The top 10 also includes Marin Alsop, who became the first female conductor to lead the Last Night of the Proms in 2013, and Chi-chi Nwanoku, who founded Europe's first professional majority black and minority ethnic orchestra, Chineke! Gender diversity in the music industry is notoriously poor, especially in technical jobs like engineering and production. And even with artists like Cardi B, Adele and Dua Lipa devouring the charts, recent research shows that men account for 78% of hit singles. Woman's Hour said it hoped publishing the power list would lead to better representation. "It's a celebration of 40 incredible women but hopefully it doesn't stop there," said broadcaster Tina Daheley, who led the panel of judges. "A lot of the people on the list are coming on to the programme, and I think that's where the conversation will start." Daheley said the top 40 was whittled down from a longlist of 100 names, with judges looking for women "who've had an impact over the last 12 months". Beyoncé "absolutely deserves to be number one", she added. "She's one of those people who's absolutely in charge of her own destiny and she's using that platform in a way that makes a difference: empowering black people in America, addressing injustice head-on and championing women. "It's not just the lyrics and activism in her music which, you could cynically say, sells music," she continues. "She puts her money where her mouth is and she's contributed to Black Lives Matter and the people affected by Hurricane Katrina." Taylor Swift was praised by the panel for standing up to streaming companies like Apple and Spotify over royalties, and for successfully winning a sexual assault case against a US ex-radio DJ, over an incident in 2013. "When I see young girls and how she empowers them to be strong women, I see how much she's influenced them and her impact on these girls who will be the activists of the future," said judge Jasmine Dotiwala, a music TV producer and columnist. Daheley was also keen to highlight figures like Fiona Stewart who, at the age of 18, was a single mum living in homeless shelters - but now runs the Green Man Festival. "Her story's incredible - but it's also her attitude to music festivals. She refuses corporate sponsorship and she won't have a VIP area. She's very impressive. She's lower down the list, but still being celebrated." "I never thought consciously of my gender as something that limited me in any way until this year," Stennett told BBC News. "I was just too busy trying to push forward and survive in the cut-throat environment of the male-dominated entertainment business. "It took an essay my daughter wrote on the effects women face from subconscious patriarchal oppression for me to finally stop and realise that it was that oppression itself which was part of my relentless drive not to fail and which has, in fact, helped me achieve a level of success that has enabled me to be part of this list. "I hope that any success achieved will help other women close the gap on the gender imbalance in business." Woman's Hour publishes its Power List annually, focusing on a different theme each time. As well as Daheley and Dotiwala, this year's panel included novelist Jessica Duchen, record producer Catherine Marks and musician Kate Nash. Why are female record producers so rare?